In 1996, Lara Croft burst onto the gaming scene with the launch of the very first Tomb Raider game and instantly became an icon in the gaming industry. The pistol-packing, Indiana Jones inspired heroine became such a hot property that her character was transitioned to the big screen in 2001 in Lara Croft: Tomb Raider and its 2003 sequel Lara Croft Tomb Raider: Cradle of Life, both starring Angelina Jolie in the titular role. Both films were met with harsh criticisms as most video game adaptations often do, but as a fan of the games and cheesy action films, I found them entertaining despite their abundance of flaws. In 2013, however, Square-Enix (the developer and publisher of the franchise) decided to refresh their property with a brand new take on Lara Croft. No longer was she going to be a ruthless, gun-toting badass with no hesitation in shooting up the bad guys. No, in this rendition, she’s strong but vulnerable and definitely not a killer. One of the key points of the game is that she hasn’t killed anyone before. The action still exists but takes a backseat to survival and escape from this remote island she becomes stranded on. 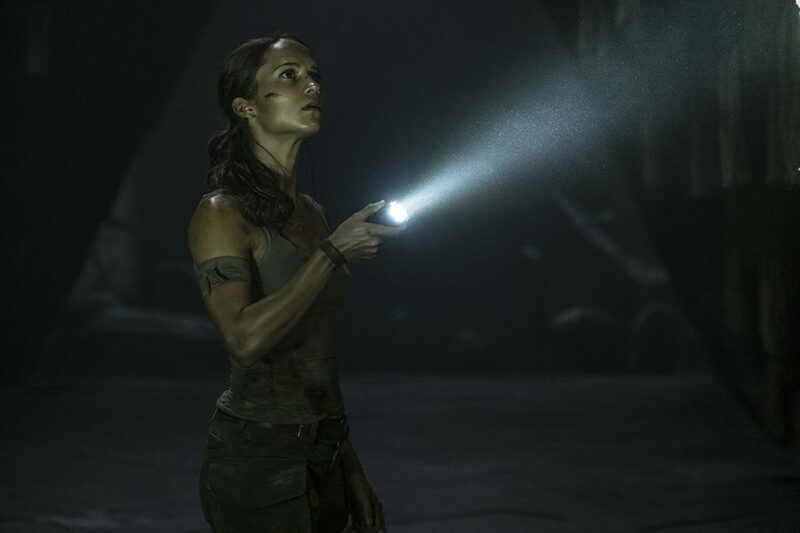 The 2013 game is what this 2018 Tomb Raider film is adapted from, so in essence, this is a reboot of a reboot of a video game. When you look at it that way, it doesn’t sound too promising considering the rap that video game adaptations get when trying to cross over mediums. That being said, I actually found the film to be quite serviceable as action flick for the most part. 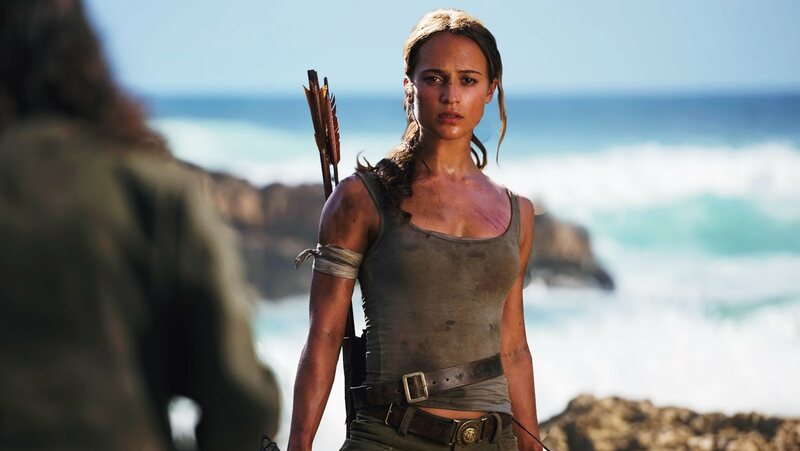 Alicia Vikander is now in the in the boots of the new Lara Croft and fills the role in every possible way. Even more impressive is her commitment to the role and willingness to do all the stunts to keep it feeling authentic. 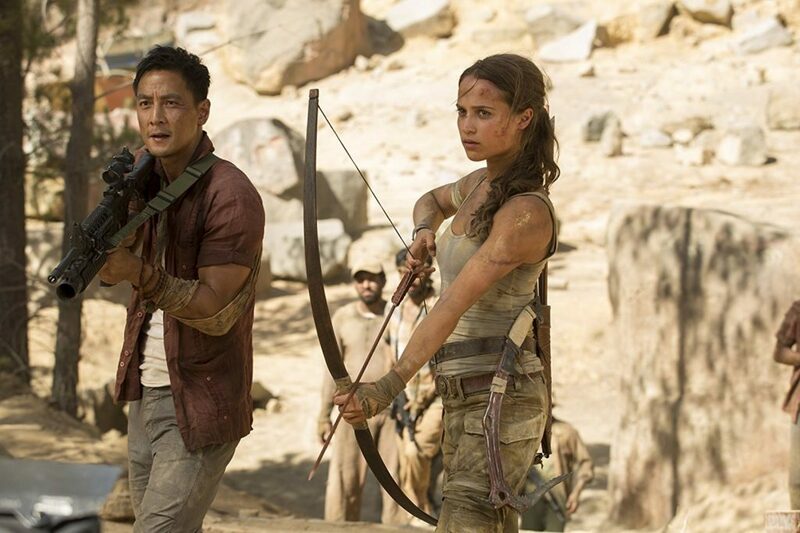 Tomb Raider follows Vikander as Croft as she works low paying jobs that she doesn’t necessarily have to only because she refuses to sign her father’s death certificate and accept her inheritance. Her father (Dominic West) has been missing for seven years and assumed dead, but Lara refuses to accept this as truth. Upon finding his secret lair, Lara discovers her father’s biggest secret – that he’s an adventurer with hundreds of hours of research and information that might lead to his whereabouts. With that information, she holds on to her hope and embarks on a journey to hopefully find her father and the ancient power he was seeking on what is believed to be located on a desert island in the middle of “The Devil’s Sea.” She needs a captain and finds one in Daniel Wu’s (Into the Badlands) Lu Ren. After a heart-stopping sequence within the treacherous Devil’s Sea, Lara and Lu Ren find themselves at their destination and quickly find they’re not alone in their search for the burial place of legendary Japanese queen Himiko. It’s here they meet a group of excavators and mercenaries led by Mathias Vogel being portrayed by Walton Goggins, whom you may recognize from a slew of films and television shows over the years such as Django Unchained, Lincoln, and Sons of Anarchy just to name a few. He and his crew pose a threat to finding the source of power and it falling into the wrong hands, even more so since Lara hadn’t followed her father’s instructions in burning all of his research and allowing his journal to fall into their hands. Lara endures a LOT to ensure that doesn’t happen. To reiterate, she is not the badass you may remember from the Jolie-led films in the early 2000’s. This iteration of Croft is vulnerable and at times at the risk of certain death. Whether it be due to adrenaline inducing jumps over amazing set pieces in the jungle or at the hands of bigger and stronger men in hand to hand combat, we find something in Lara that we hadn’t seen before – someone we actually care about. Most importantly though, the character is never sexualized either, as she typically tends to be. To be fair, the final act of the movie (the tomb raiding, if you will) shows nothing the viewer probably hasn’t already seen in it’s inspired content of Indiana Jones and the Last Crusade. Deadly traps are around every corner as our characters traverse through the burial chamber deep within the heart of this island and director Roar Uthaug does not hold back on some of the deaths of the lackeys tagging along. But of course Lara, who’s puzzles solving skills are rampant throughout the film, is able to use her wit and athleticism to maneuver through them and guide them to their destination before a final showdown with Mathias. In the end, I found this to be a fun action-movie that’s serviceable to both its existing fan base and newcomers alike. There’s plenty to be entertained by, including a hilarious performance by Nick Frost as a pawn shop dealer. He reappears after the ending title card for one last scene with his wife and Lara (which also serves as fan service to fans of the old Lara Croft). 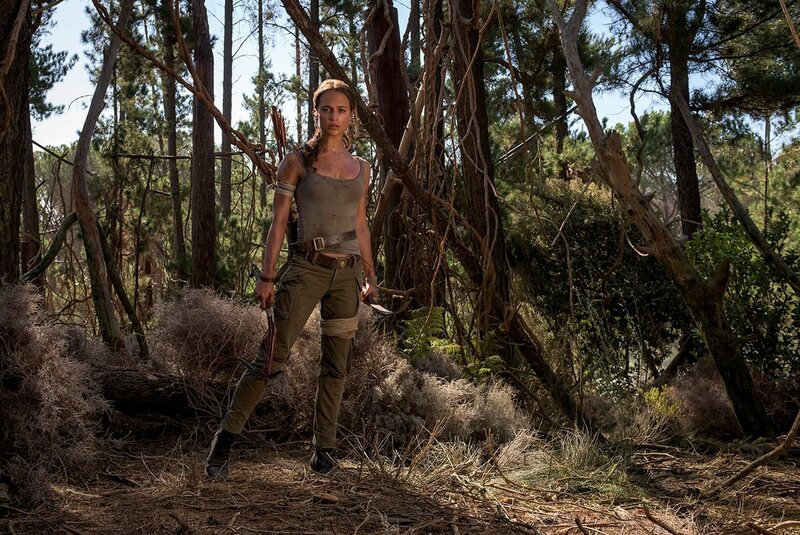 The final few minutes of Tomb Raider act as a setup for more films to come and I’ll surely welcome them. It’s certainly in the upper tier of straight video game adaptations.